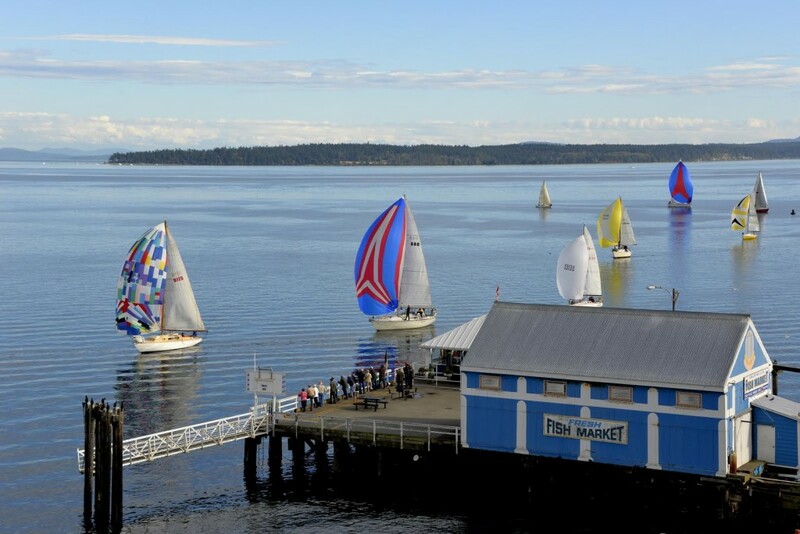 Rich in history, surrounded by natural beauty, Sidney is the gateway to Vancouver Island. Nestled on the Saanich Peninsula just north of Victoria, Sidney melds seaside charm with urban vibrancy. You’ll be overwhelmed by choices in the town’s boutique shopping district, and there are so many quaint dining options it’s hard to know where to go first. Victoria Distillers, the only waterfront distillery on Vancouver Island, will open in May 2016. Complete with a tasting room and cozy lounge with sweeping views of Mount Baker and the Salish Sea, the distillery will impress even the most discerning imbiber. On the waterfront in Sidney, you’ll find a sculpture walk and historic walking tour. 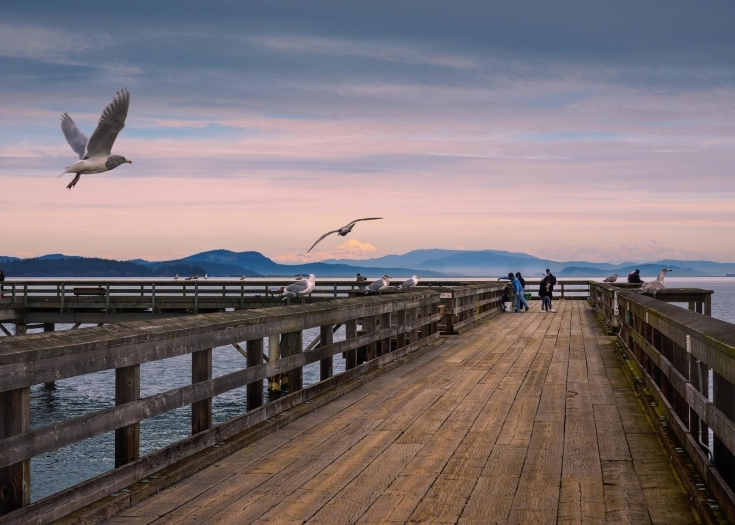 Be sure to visit with local fisherman as you stroll down the iconic Sidney fishing pier, or hop on a whale watching or guided kayak tour with Sidney Whale Watching. See the glorious vineyards (and try a glass of wine) near Sidney on your way to the world-famous Butchart Gardens, only a 15-minute drive away. Visiting during the summer? 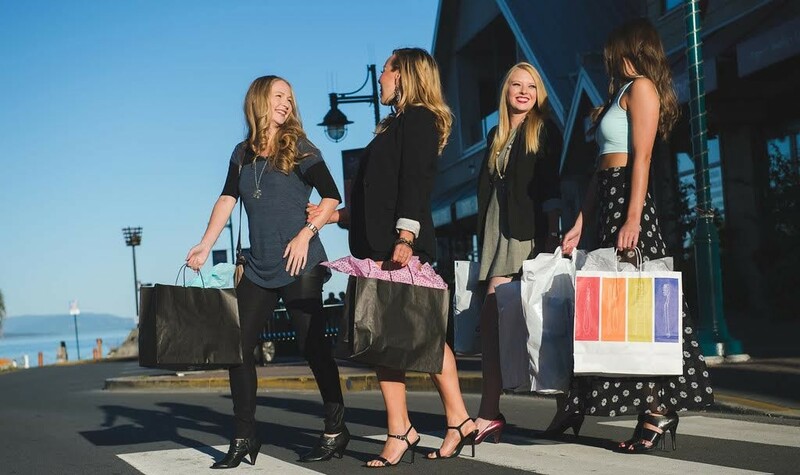 Explore the Sidney Street Market (every Thursday evening from May to September), Summer Sounds outdoor concerts (every Sunday from July through August) and the August Torque Masters Car Show Extravaganza. Whatever else you do, be sure to catch a show at Mary Winspear Centre, the art and culture hub of Sidney. Sidney is known as Canada’s only “Booktown,” so be sure to visit at least one of the town’s five independent bookstores during your visit. If you are bringing little ones, the Shaw Centre for the Salish Sea, the Sidney Museum and the BC Aviation Museum offer special hands-on experiences.